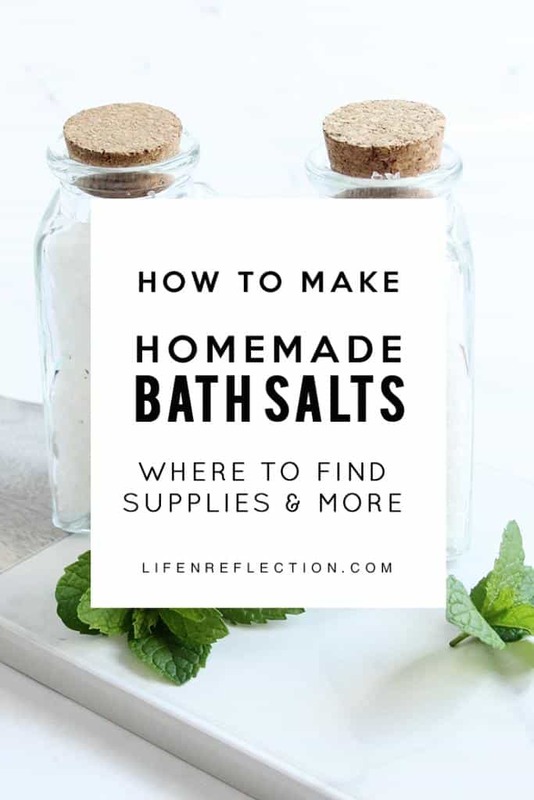 I’ve been making bath and body products for years and from my experience I can say, homemade bath salts are the easiest to make! There’s no boiling, simmering, melting, or chilling. In fact, you don’t even wait for a thing to set either. 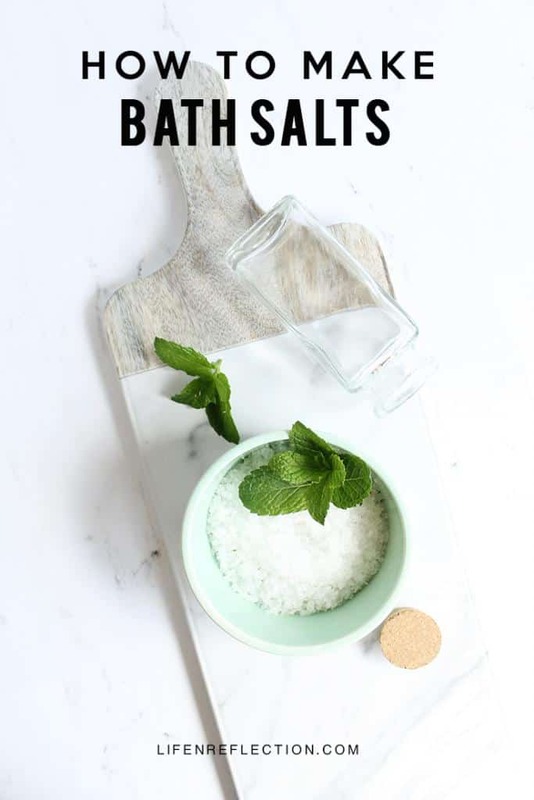 If you’re looking for an easy quick DIY bath and body product to make for yourself or as a gift – homemade bath salts are it! How do you make scented homemade bath salts? 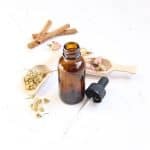 That’s easy, all you need is herbs and essential oils to scent DIY bath salts. 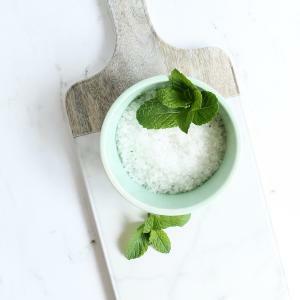 For this citrus mint bath salt recipe we’re combining one herb with two essential oils for a refreshing, mood lifting scent. A member of the mint family, lemon balm has a wonderful lemon aroma which happens to repel mosquitos. To activate the lemon scent just rub a leaf between your fingers or tear it. Lemon balm is a vigorous grower in my herb garden and not help ease sore muscles. Which makes it great addition to homemade bath salts. Fresh lemon balm leaves give you a brighter scent in this recipe, but it’s winter time your “neck the woods”, dried lemon balm works too. Like lemon balm, lime has a bright refreshing citrus scent. And lime essential oil really smells like fresh lime wedges, reminding me of summer. 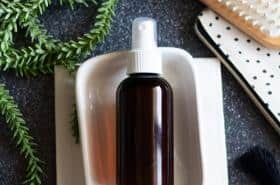 It’s a versatile scent that combines well with other essential oils. Lime essential is a great addition to homemade bath salts as for it’s skin-loving properties. It provides antioxidants to the skin to support radiant, youthful looking skin and reduce dark spots due to aging. 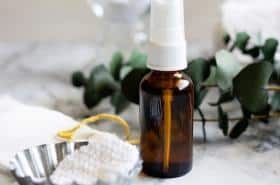 Eucalyptus Globulus is a eucalyptus oil from the large, aromatic eucalyptus trees of the Myrtaceae family. 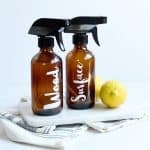 The tree’s small, silvery leaves are steam distilled to produce the earthy, fresh oil that is popular in personal care products and spa treatments. Eucalyptus essential oil is known for its cleansing properties and stimulating scent. It is often applied topically or diffused aromatically to breath easy. 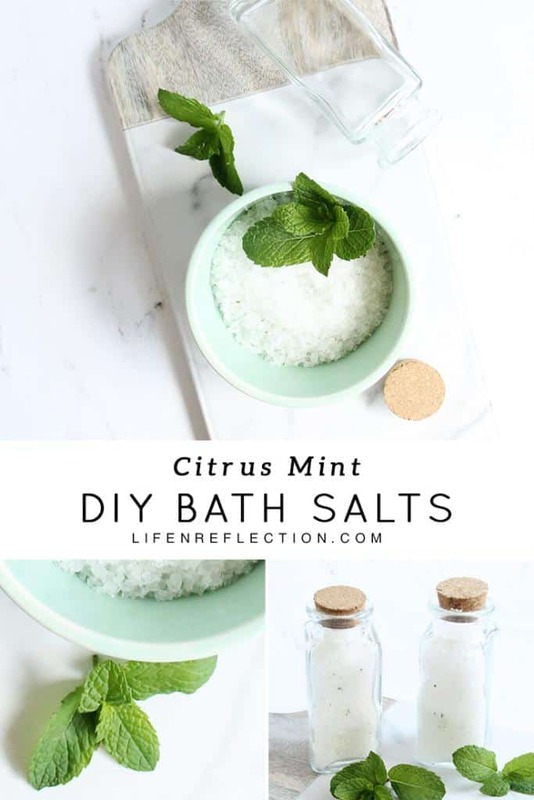 I love combing eucalyptus with citrus and mint scents… which brings us to this citrus mint homemade bath salts recipe! Finely dice 2 lemon balm leaves and set aside. In a mixing bowl combine ½ cup Epsom salt, ½ cup dead sea mineral salt, and 1 teaspoon sweet almond oil. Stir to combine. Pour 2 to 4 tablespoons of citrus mint homemade bath salts into running bath water. Step in and enjoy a relaxing, fresh citrus infused bath soak. 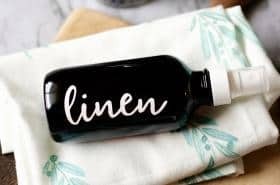 This one happens to great for tired feet too, so you don’t have time for a full-on soak in the bathtub. Pour hot water into a basin and soak your feet with 2 tablespoons of bath salts. 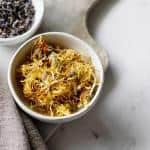 You can use these homemade bath salts immediately, but I’ve found after storing them overnight the scents really combine well too for an invigorating, relaxing experience. P.S. Double or triple the batch to make bath salts for gifts. For more gift ideas see my spa gifts from the garden recipes!